SuperBio started as an idea to utilise non-toxic cleaning products to build a green cleaning service that isn’t only safer but also achieves a better quality of cleaning than traditional cleaning chemicals. After months of extensive scientific research, and experimenting with various cleaning products and techniques, we introduced SuperBio in March 2016. It consists of over 20 recipes of non-toxic cleaning products. Each of these recipes has a specific use such as carpet, ceiling, glass, leather, metal, tile, toilet, wall and wood cleaning. Among the variety of non-toxic cleaning products and techniques we use, Bicarbonate of Soda, Microfibre and Steam have been found to be the most effective. 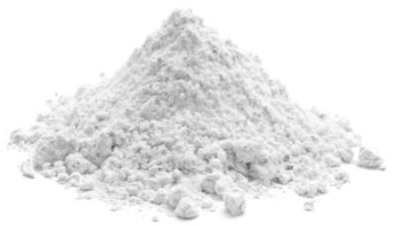 Bicarbonate of soda is a salt composed of sodium ions and bicarbonate ions with proven cleaning abilities that also effectively kill viruses, deodorises and brightens. It's best known for its ability to remove surface rust, grease and grime. 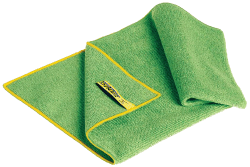 Microfibre is synthetic fiber finer than 1/5 the diameter of a human hair. Unlike cotton, microfibre leaves no lint, kills bacteria and generates static attraction that is capable of holding contaminates without spreading debris. Steam is an effective method to quickly dry, clean, and sanitise inanimate surfaces. 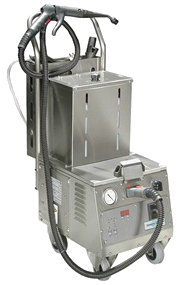 The steam's ability to clean is based primarily on its heat. It provides the energy needed to break soil bonds and release contaminants into water suspension. 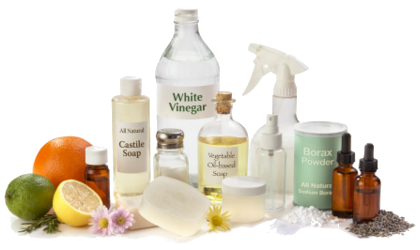 Besides Bicarbonate of Soda, Microfibre and Steam, our cleaning recipes contain a number of other non-toxic cleaning products including Castile Soap, Citrus fruits, Vinegar, Oils, Salt and Borax. Please try again later or contact us on (02)61810788. What cleaning tasks does your service cover?